The Flying Cows of Jozi Walks offer eye-opening experiences and often spark an interest in the wider relevance of the inner city perspective. An interest that is shared by many others and reflected in their writings, art work and tour-guiding initiatives. 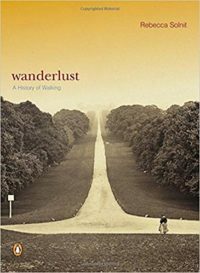 On this page Josine shares the books, tour organisations, links and quotes that for her inspire and enrich the perspective offered by these urban walks. 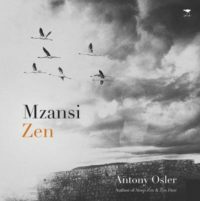 Since 2010, Antony & Margie Osler, their Stoepzen farm in the Karoo and Antony’s books (Stoep Zen, Zen Dust and Mzansi Zen) offer me restorative retreats from the bustling urban life and the inspiration to return to it and make it better. 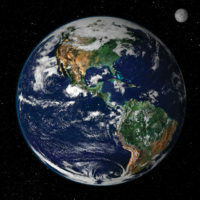 “Throughout the previous five decades of manned spaceflight, astronauts and cosmonauts have reported that their direct perception of space, and the Earth hanging in it, produced unexpected emotional reactions and intellectual, perspective, perceptual and paradigm shifts. 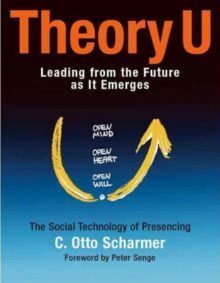 For me the best theories and models are those that capture what I’ve already experienced and applied in real life. They help me make sense of what I’ve been through and better explain it to others. Having completed the MITx u.lab courses Leading Change in Times of Disruption and Leading from The Emerging Future, I recognise Theory U as the process I’ve been through first finding my place in South Africa followed by the process of opening up to the inner city perspective resulting in the establishment of Flying Cows of Jozi. I couldn’t agree more: my magical walks in Joburg inspired the exciting work that Flying Cows of Jozi does with young, digitally skilled students. Not so sure about the writer’s statement that in the city “you’re less likely to get stamped on by a cow” though. We might just treat you to a fly-by! 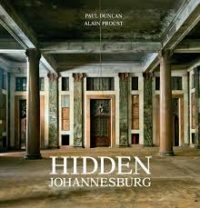 The beautiful photographs in this book of Johannesburg behind some of its impressive facades show how worthwhile it is to open doors, to be curious and take that extra step into an unknown environment. Some of the photographed interiors were made especially available for the photographers but most of these are open to us all. I discovered the allure of urban walking when I moved into the Johannesburg inner city almost four years ago. Initially I cautiously navigated the block around my apartment building, but with every walk my curiosity grew, as did my feelings of safety, and now I venture further and deeper into this bustling city. Gerald Garner’s book was my bible in those early days. It provides a clear overview of the urban landmarks with photos and easy maps, helping me to plot my route and get back on track when I got lost. His book Ten Ahead provides a more in-depth read on the history of the first years of urban regeneration in Johannesburg CBD. 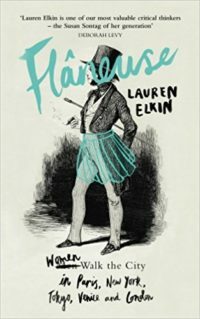 This book is out of print and with the developments in town over the past years I think we should encourage Gerald to add a new book to his oeuvre. The biggest draw card for me was the visit to iconic Ponte Tower inside and out, which offered great views over greater Johannesburg and an understanding of life in this building. 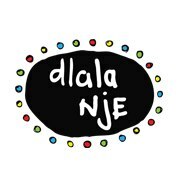 “Dlala Nje was founded in October 2012 and is an organisation that aims to to challenge perceptions and to create opportunities. They do this through running inner-city immersions and experiences in some of our city’s most misunderstood areas; Hillbrow, Berea, Yeoville and Johannesburg’s CBD. Gerald Garner offers various travel and tourism services and products related to Johannesburg. 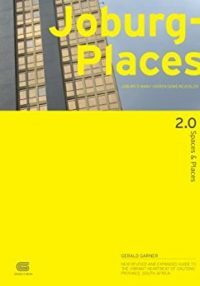 This includes three books, Spaces & Places 2.0 – JoburgPlaces which is an updated and expanded version of Spaces & Places – Johannesburg (guide to the city’s hidden gems) and Johannesburg Ten Ahead (focusing on ten years of inner-city regeneration). 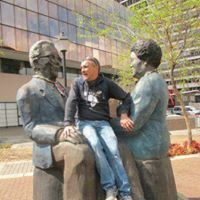 Most popular of Gerald’s offerings are his inner-city walking tours, most of which start and end at City Central Food Hall and Event Space at 85 Commissioner Street where Joburg Places operates the Uptown Braai Eatery & Bar. In September 2017 I walked with Sifiso in Brixton for the first time. I’ve already booked a second walk to delve a bit deeper into the rich history of this multi-racial suburb. The Roving Bantu restaurant is a great place to start and end your walk. 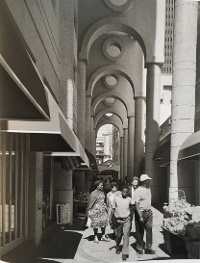 My very first encounters and walks in Johannesburg CBD were with the extraordinary Jo Buitendach. Her knowledge and love for the city planted the first seeds of an enduring fascination. 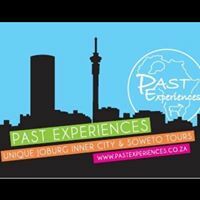 “Past Experiences is the Joburg Inner Cities Original Walking tour company, started in 2009. 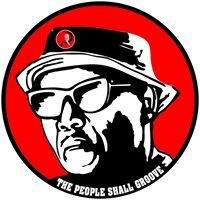 They are foremost passionate Joburg lovers! They love our city, graffiti, the communities we work in every day, Joburg’s history, present and bright, bright future!